The Pound Canadian Dollar (GBP/CAD) exchange rate has remained buoyed over the course of the day, and the pairing is currently trading at an inter-bank rate of CA$1.7088. This morning saw the pairing rise following the news that the UK could push back the date set for the country to leave the European Union by eight weeks, from the 29th March to 24th May. This sparked hope that it could reduce the chance of a disorderly no-deal Brexit. This afternoon, the Canadian Ivey purchasing managers index fell to a lower-than-forecast figure of 54.7, from previous 59.7; a four month low showing that economic activity in Canada had slowed. This afternoon, Bank of Canada’s (BoC) Deputy Governor, Timothy Lane, gave a speech in which he discussed how lower oil prices and a softening housing market have contributed to hindering Canadian growth. This did little to aid the Canadian Dollar despite the emphasis on the slowdown being ‘temporary’. New orders in the UK had declined for the first time in two-and-a-half years, and business activity within the services sector stagnated with the Markit services PMI reporting a slowing of growth to 50.1. Following this, the Pound Canadian Dollar (GBP/CAD) exchange rate fell as the ‘Loonie’ was able to take advantage of the weakness in the British currency. 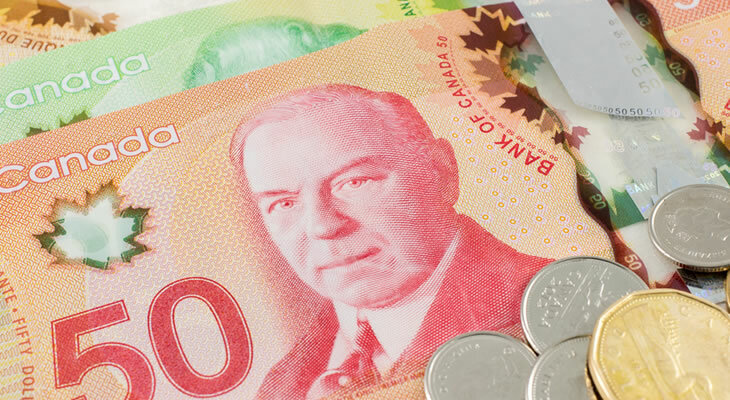 GBP/CAD Outlook: Will an Increase in Canadian Unemployment Hinder CAD? The Pound Canadian Dollar (GBP/CAD) exchange rate will likely benefit from any progress Theresa May makes on her Belfast trip where she is discussing Brexit with Northern Ireland’s five main political parties. During the trading session on Thursday the pairing could fluctuate when the Bank of England is releases its latest interest rate decision. No change to the rate of 0.75% is expected, so Sterling could remain buoyed unless the decision is followed by dovish comments from the central bank. The Canadian unemployment rate for January is set to be released on Friday, and is likely to cause movement of the pairing, with any increase in the previous figure of 5.6% likely to weaken CAD sentiment.